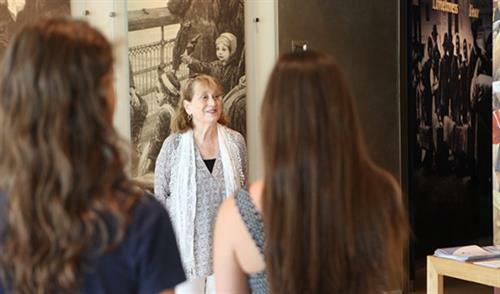 Experience An American Story and hear the moving stories of Jewish immigrants in this informative and inspiring look at what it takes to survive and thrive in a new country guided by a knowledgeable volunteer docent. No reservations needed – and no extra charge! Simply let the front desk know when you purchase your ticket that you would like to be part of the tour.